Originating from the Isle of Skye and the Scottish Highlands, the Cairn Terrier breed is friendly and known for being a terrific companion. Even though their exact beginnings remain unclear, historical records show that they’ve been working for farmers, shepherds, and fox hunters as early as the 16th century. Their common hunt included foxes, badgers, and otters that were found in the rocky terrain. This breed had a “gameness” unlike any other. They were impressively tough and would continue their work through pain or injury. During the 19th century, the terrier breeds started becoming more independent from one another. While the Scottish Terrier and West Highland White Terrier had no issues establishing themselves, the Cairn Terrier struggled to gain popularity outside of Isle of Skye. It wasn’t 1910 that this breed was properly recognized by the Kennel Club. They quickly became popular throughout England due to their impressive hunting skills and loyal obedience. Not too long after, the Cairn Terrier gained popularity in the United States after it made its star-studded debut as Toto in the Wizard of Oz. Cairn Terriers personality is happy and outgoing. Their intelligence and fearlessness make them more independent compared to other dogs of similar size. Whether it be a hike in the woods or a trip to someplace new, the Cairn Terrier is a big fan of exploring and adventuring. Just like with all terrier breeds, this dog can be tough, assertive, and observant. A terrier without proper training may be inclined to bark, dig, or chase small animals, so early socialization is very important. Their impatience can get the best of them at times, leading to aggression or protective behavior. This breed is also a great watch dog and will alert you within the first sight of an intruder. Even though this breed shows independent qualities, they still love to be around friends and family. Whether you’re watching a movie, cooking dinner in the kitchen, or relaxing in the backyard, you will always find your Cairn Terrier happily following you around wherever you go. The Cairn Terrier characteristics make the breed not the easiest to train. Their stubbornness can quickly end a training session, especially if they have no respect for their owner. Just like with any challenging breed, training a Cairn Terrier is going to take a lot of patience, determination, and dedication in learning even simple commands. Never give your pet harsh punishment during training. Cairn Terriers are known to be sensitive creatures and can develop anxiety or fear if treated poorly. Keep in mind that this breed is also very intelligent. Once they understand that you are in command, they will be able to learn a new trick in no time at all. For the best results in training your Cairn Terrier, make sure to start the process as young as possible. Early socialization to new people, places, and experiences is critical for your dog to learn proper behavior for daily situations. Agility training is also a great form of exercise for your Cairn Terrier. Due to their high level of intelligence, this breed excels at agility courses where they can get a physical workout while being mentally pushed as well. Once they develop the basic skills for agility coursing, this will be a great form of activity for you and your pet to bond. This breed should never be forced to live outside. They thrive from human interaction and need to be surrounded by loving and attentive owners. The Cairn Terrier is best suited for an active household. The Cairn Terrier life expectancy is 12-15 years. Throughout history, the Cairn Terrier has struggled to gain popularity. Often overlooked by other terrier breeds, the Cairn Terrier was mostly popular in Scotland and parts of England. It wasn’t until 1913 that the American Kennel Club recognized them as their own independent breed. These terriers quickly became well-known in America after starring as the spunky canine companion to Dorothy in the Wizard of Oz. Today, the Cairn Terrier is ranked 70th most popular breed in the United States. Their loving and playful personalities make them a popular pet for any size household. Cairn Terriers only require a small amount of high-quality food to stay in shape. 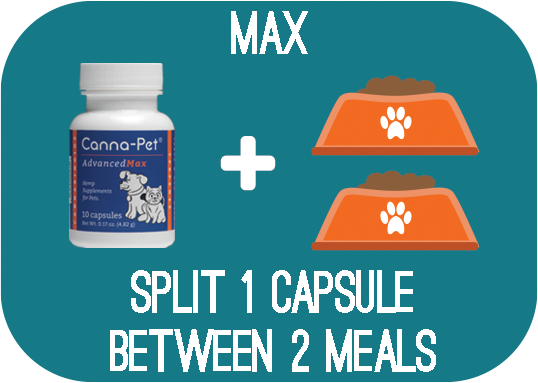 ½ – 1 cup of food, split into two meals is all that is needed for this breed. Keep in mind that this varies on several factors. Metabolism, size, weight, and age should all be considered when creating a meal plan for your dog. Make sure to not overfeed this petite breed to avoid excessive weight gain and obesity. Also, make sure to have fresh water readily available at all times. This water dish should be cleaned once a day to avoid bacteria from growing. When choosing the right dog food, make sure to look for all-natural ingredients on the label. Avoid anything that has grains, soy, or preservatives listed as the main ingredients. Consult with your veterinarian to learn specific feeding requirements for your individual pet. The shaggy coat of the Cairn Terrier comes in brindle, grey, black, and red. Their coat is composed of two layers: a wiry outer coat and a soft undercoat. Brushing their fur once a week will help keep it healthy and in good condition. Brushing is also necessary to loosen any dead hair or rid the coat of dirt. A Cairn Terrier should only be bathed once every couple of months, or as needed. In order to keep their shaggy signature look, don’t over-bathe them. Too many baths will soften their scruffy coat and alter their appearance. Along with maintaining their coat, you should brush their teeth at least once a week to avoid bacteria and tartar build-up. Along with this weekly grooming, check their ears and nails for infection. Nails should be trimmed twice a month to avoid overgrowth or cracking. Are Cairn Terriers Good With Kids? This breed is a great pet for any family. They love to be involved in every activity as long as it involves their owners. It’s important to note that the Cairn Terrier may not be the best breed for younger children. They can quickly lose their patience and turn snappy. Older children who know how to properly interact with a pet is preferred for this dog. Just like with any breed, make sure a parent is always present during any interactions between a pet and a child. Not only do you need to teach your pet how to interact with children, but you also need to show your child the right way to handle your pet as well. Your child must know to never startle their pet while they’re sleeping or interfere when they are trying to eat. Once these rules are understood by both sides, an older child and a Cairn Terrier should be just fine under the same roof. Craniomandibular Osteopathy: This hereditary deformation causes the bones in the skull to irregularly enlarge. This will make a puppy’s jaw swollen, which will restrict them from properly opening their mouth. This condition is treated with anti-inflammatories and painkillers. Hypothyroidism: This occurs when there is an imbalance of thyroid hormones in the body. Common symptoms include weight gain and skin problems. Hypothyroidism can easily be cured with a synthetic hormone pill. Luxated Patella: This hereditary disease occurs when the kneecap slips out of its groove. The severity ranges on a case by case basis. In serious cases, luxated patella can cause lameness, pain, or immobility. Heart defects: Several heart issues occur in purebred dogs. Murmurs are especially common in Cairn Terriers but are not always a reason for concern. Cataracts: Cataracts occur when the lens of the eye turns white or opaque. Cataracts are commonly brought on by old age, but some strains can be inherited. In severe cases, cataracts can cause blindness and requires surgery. Allergies: Environmental toxins are the most typical type of contact allergies that affect Cairn Terriers. Contact dermatitis occurs when the skin becomes irritated, causing redness, inflammation, and hair loss. He runs around like a puppy again and sleeps comfortably through the night. She willingly takes 3 drops 3 times daily directly into her mouth.